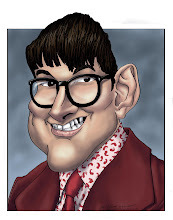 Bevboy's Blog. : Post 3585 - Grr! Don't you just love it? The drama. I share one meme on my Facebook timeline, and people go crazy. Let's step back, and unpack this. Here in Halifax, we have some pretty narrow streets. There are not as many parking spaces as we need, and some councilors decided that they would take some of those parking spaces away and replace them with bike lanes. By Dalhousie University, on University Avenue, many, maybe even most, of the parking spaces ain't there no more. They are replaced by a bike lane that is likely not used all that much. But, fine. It's happened and isn't going away. I can accept that. I don't like it, but I can accept it. What I cannot accept is how some bicyclists do treat the road as their plaything. They ride on sidewalks, which is clearly illegal. They dart in and out of traffic. 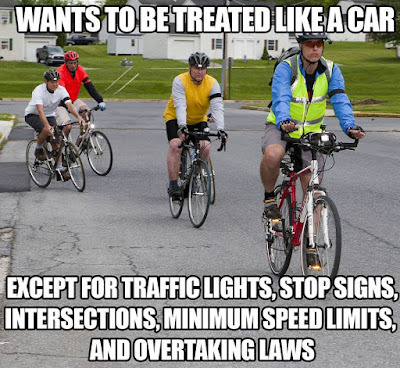 They ride abreast with cars and keep them from passing, making traffic worse. Traffic lights are a suggestion at best. I have been nearly knocked over by people on bikes, as I was walking across the street. Dammit, there are irresponsible bicyclists. There are also irresponsible pedestrians who walk out against traffic or ignore oncoming traffic, expecting cars to stop as if by magic, and getting insanely ticked off when the cars cannot accommodate their unreasonable demands. And, of course, there are irresponsible drivers who wreak havoc on our roads, flying through red lights, nearly running over pedestrians who were clearly at cross walks, and blithely ignoring people on bicycles. On the other hand, in Halifax, bicyclists have nearly been killed in traffic over altercations that were not their fault in any way, shape, or form. It is horrible carnage for them. I feel their pain. The roads belong to all of us, not some of us. We all have to get along out there. All of us. The above meme might be overkill, but there is some truth to it. 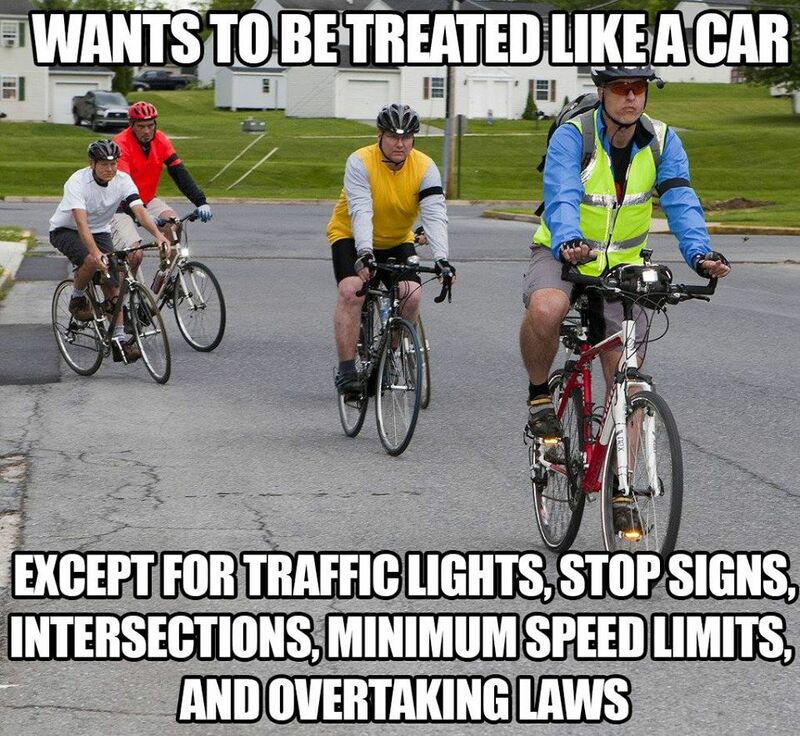 And people on bikes have to realize that. You can rant and rave on my Facebook, email me here, or leave a comment on my blog. Have at it.